Psychiatrist Dr. John Holden travels to England for an international scientific conference, where a colleague, Henry Harrington, plans to deliver an exposé on devil cult leader Julian Karswell. Upon arrival, Holden learns that Harrington was killed the night before in a freak auto accident. 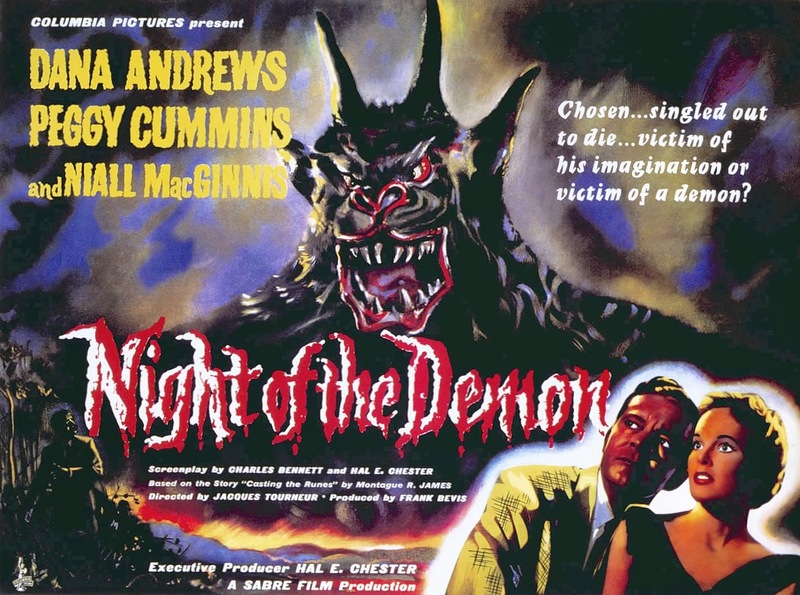 Holden, who debunks paranormal phenomena, decides to delve deeper into Harrington's research, hoping to expose Karswell's phony supernatural power----which he believes is simply the result of autosuggestion and mass hysteria, and is being used as a ruse to stop people from looking into the man's affairs. After the investigation leads to a rare book on the occult, The True Discoveries of Witches and Demons, Holden is warned that if he doesn't stop digging, he'll die on October 28th at 10PM. It's then that he discovers a piece of parchment that has somehow ended up in his possession--on which is written a series of indecipherable runic symbols. 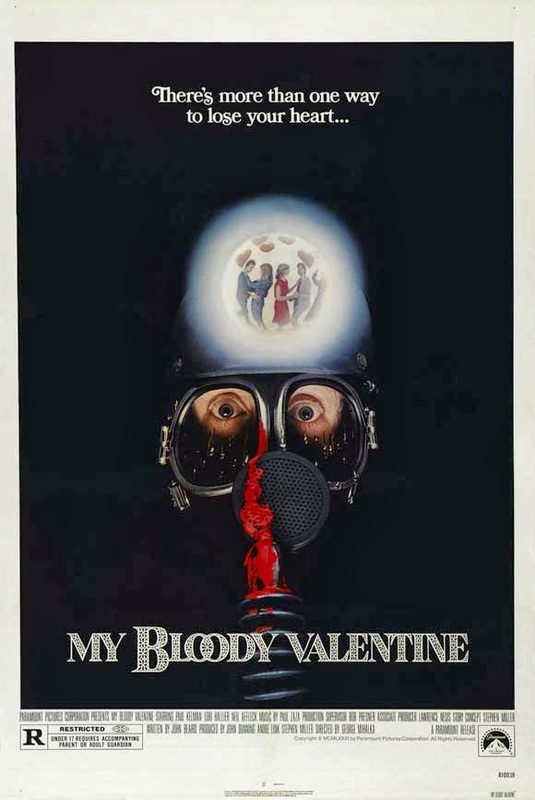 For those of us who prefer to celebrate anti-Valentine's Day, one can't help but think of the original 1981 slasher film, My Bloody Valentine, and the indelible mark it left on this day (much like the films Halloween and Black Christmas did for their respective fêtes). 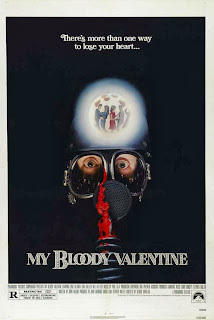 Shot in Sydney Mines, Nova Scotia, My Bloody Valentine was controversial even before its release. The MPAA, those bastions of confusing censorship, was going to curse the film with an X-rating unless several scenes were cut--and the director complied. But the movie faced even more controversy upon its release, since one of the investors was the Canadian government--via the Canadian Film Development Corporation (now known as Telefilm Canada). One reviewer at the time noted that the CFDC "has no business supporting such a gross, insulting enterprise" (yet they previously invested in David Cronenberg's Shivers, The Brood, and Scanners--and managed to make money on the first two).